Jungle Junction’s Second series started on Disney Junior on 25th June, and many children couldn’t wait to get their hands on the toys! There is a whole range of toys from figures to play sets, ranging from £3.99 – £39.99 in price! I received a ‘duo Character’ set which contained two small figures (Bungo and Taxicrab) and a couple of road signs! They came in a tube and are the perfect size for a stocking filler! The figures are so cute and a lovely little size (approx 7 cm high, so great for little hands)! 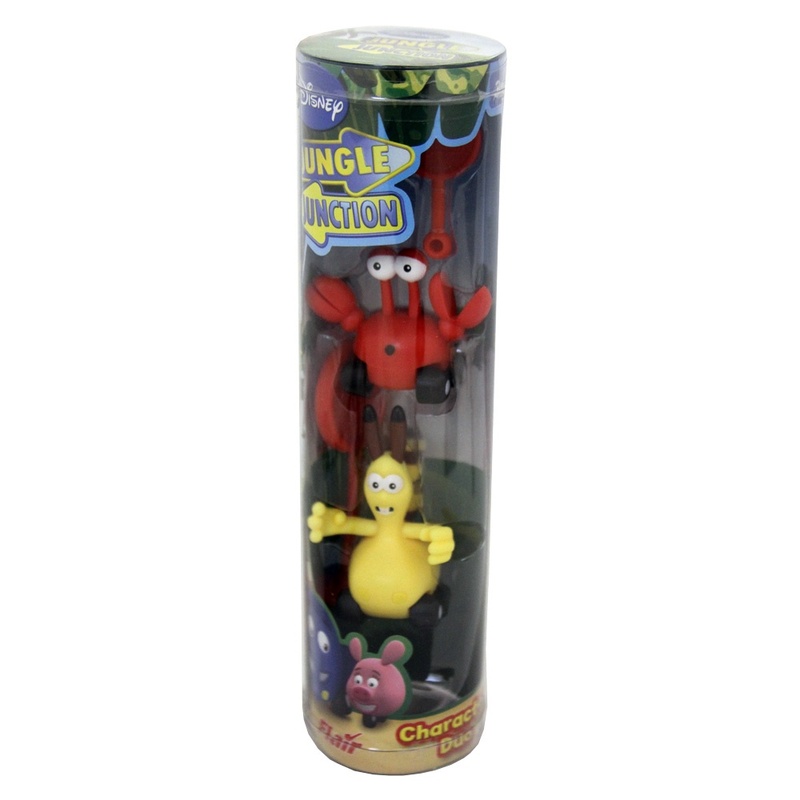 They are a perfect representation of the TV characters and would please any Jungle Junction Fan!Most importantly they are fun! I would happily recommend these, and you can collect the whole set, there are some great playsets available too! I know, I couldn’t believe I was writing them words!